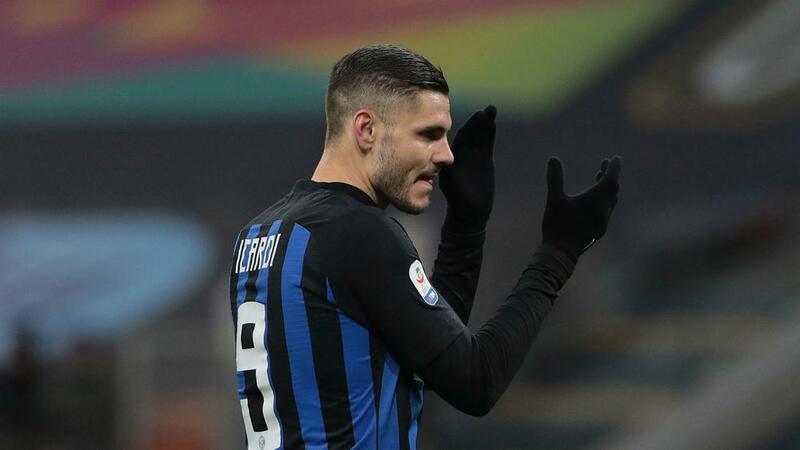 Mauro Icardi signing a new contract at Inter is virtually a "100 per cent" certainty, says his wife and agent Wanda Nara. The Argentina striker reportedly counts Barcelona and Real Madrid among his admirers and Nara said a deal was "a very long way off" earlier this month. However, comments over the weekend suggested her stance and that of Inter chief executive Giuseppe Marotta have shifted significantly, with common ground apparent between the two parties. Speaking on the Tiki Taka programme on Canale 5, Nara said: "I do not know what they [Inter] will say to me but my availability [for talks] is complete. "For me, the renewal will be done, 100 per cent, but I do not have a crystal ball and do not know what the future holds." Nara made light of her reputation as a difficult operator and insisted she has not made excessive demands to risk a compromise not being reached. "Mauro has never asked for anything and neither do I," she said. "When they call me we sit at the table and stop. The problem is that the b**** is me – I did not ask for anything. "We can call [Inter sporting director Piero] Ausilio to ask him. Icardi is a transparent person like me, this is why I represent him." Nara added: "Inter did not call me, my phone is always on and I answer everyone. "Mauro is fully available to continue his relationship with the club. I do not know when we will meet, but we will certainly do it." Speaking to DAZN prior to Saturday's 0-0 draw at home to Sassuolo, Marotta said: "We have no doubts that Mauro Icardi will remain here, as we are happy with him and vice versa. The only remaining issue is when to put pen to paper on the contracts."